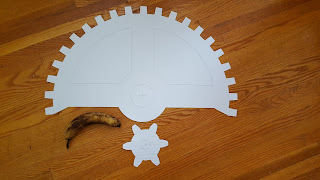 More paper gears were cut out. The first two were the largest and smallest diameter gears. Unlike the 3D model the largest gear has only been made with half the teeth. This was done for a couple reasons. The first reason was to conserve material. 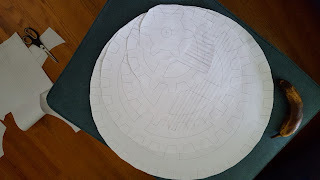 Secondly it was done so that the gear would fit on smaller paper. Lastly, and most importantly, it was done so that observers would notice the gear more readily since this gear will be moving the least but it will spin in the closest approximation of the player's hands. 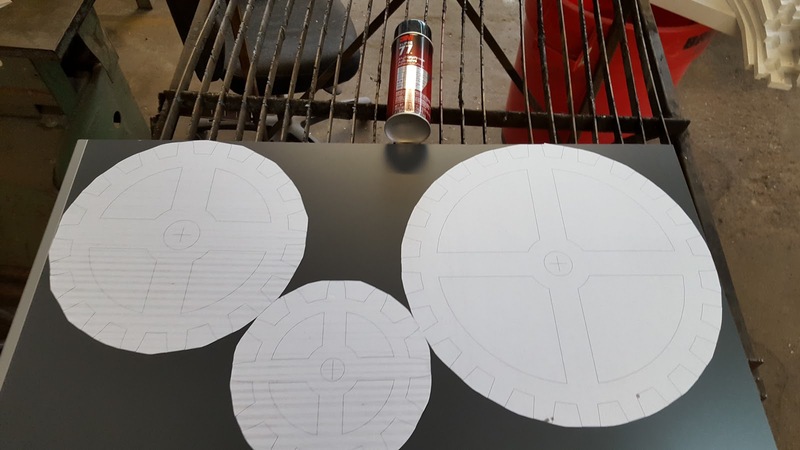 The rest of the gears were not cut out more than circles. Between band saws and sanding the paper left between the teeth should be easily worn away and this paper was the most time-consuming to cut away. 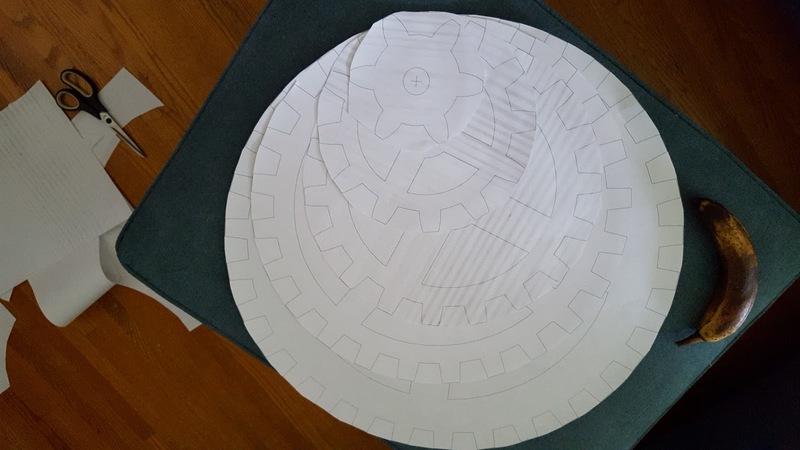 It took less time to cut out all the gears below than it took to cut out the largest diameter gear pictured above. Just like the first time these gears were sprayed with 3M Super77 spray adhesive and allowed to dry. Once prepared the paper was stuck to the remaining plastic sheet. Only the 200mm, 300mm and 400mm gears were placed on the plastic since the 500mm gear would not fit.